​Compas de Nicaragua (Friends of Nicaragua) is a NH 501c3 non-profit organization that supports “Women in Action”, a group of 40 women who organize health and education projects in the impoverished settlement of La Primavera in Managua; and a farmers coop in La Paz, Carazo who carry out sustainable living projects. 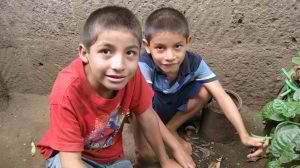 Compas also organizes several service learning trips to Nicaragua each year. Our Mission is to promote cultural exchange and improve lives through service learning trips and sustainable community development.